Just a few years ago, airberlin was a small carrier flying mostly within Europe and flying the occasional peak season trans-Atlantic route. Its growth since those days has been vertical and now it’s made another step by taking on Sabre’s full suite of customer-side software beginning this July. The long-term agreement will see the airline move to an integrated platform for a broad range of critical airline operations including SabreSonic Customer Sales & Service (CSS) passenger reservations system, inventory, check-in, eCommerce, data insights and network management. In a business with swift swings in profitability the software an airline chooses is one of its most important decisions. Sabre software will help the carrier to optimize daily operations, drive incremental revenues and provide guests with a more personal travel experience through targeted flight offers and tailored services. 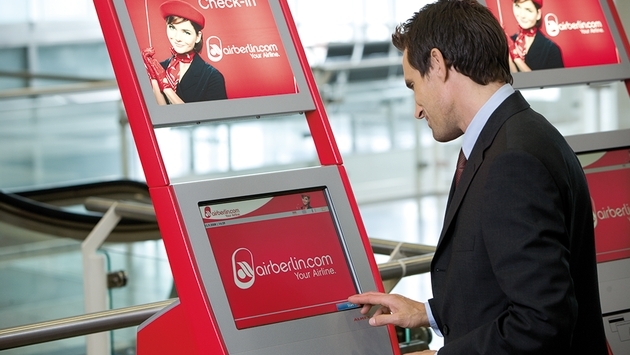 “The Sabre software will also help us deal with requests from our flight guests on a more individual level, enabling us to offer them an even more personal travel experience," said Wolfgang Prock-Schauer, airberlin’s CEO. Sabre's technology is used by 225 airlines worldwide including most of the world's largest carriers. The Sabre CRS network is used by some 350,000 travel agents around the world including Sabre’s own retail division Travelocity.